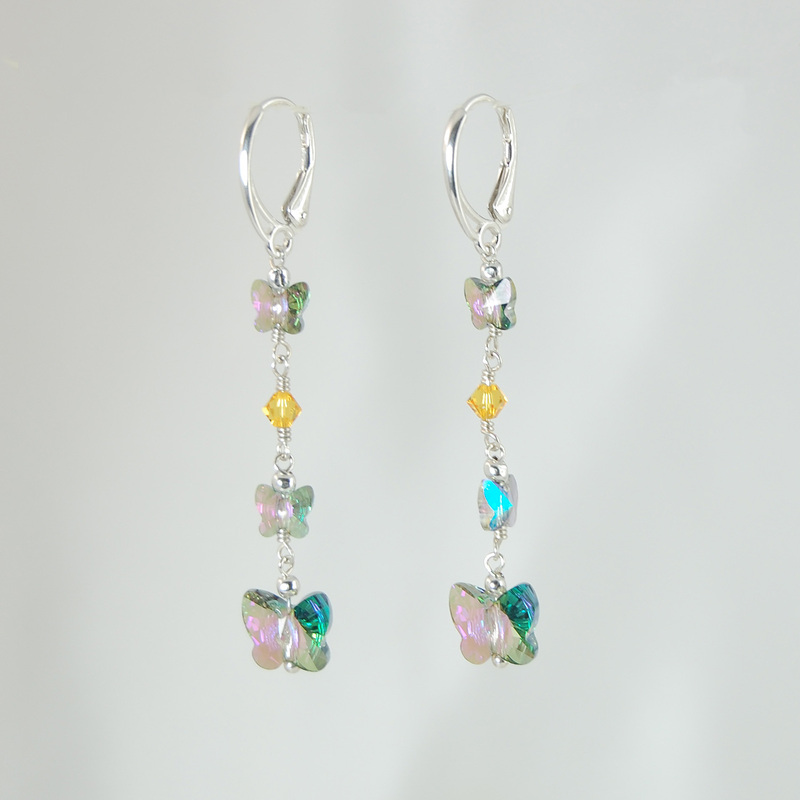 Because the gorgeous Swarovski crystals in these earrings contain so many colors, you can wear them with just about anything. The Paradise Shine Butterflies range from 6 to 10 mm in size and are created with faceted crystals displaying eye-catching sparkle at every angle. They wonderfully refract light showing off a gleaming blend of green, royal blue, purple and gold color shades. 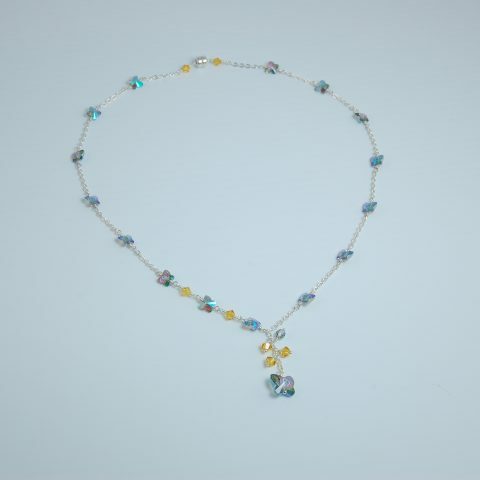 Sunflower yellow 4 mm bicone crystal beads add a mellow vibe to the dazzling dispersion-of-light effect of the butterfly crystals. These earrings measure each 2 1/2 inches. The crystals are set in argentium silver wire work with sterling silver beads as accents and with sterling silver lever back ear wires. These earrings are the perfect match for the Paradise Shine Butterfly Crystals Necklace.